Is the stag beetle coming back to the Sonian? The stag beetle is our country’s largest and most impressive beetle. The adult male has huge pincer-shaped jaws and can grow to 7 or 8 centimetres. The female has smaller jaws and is only half as large. 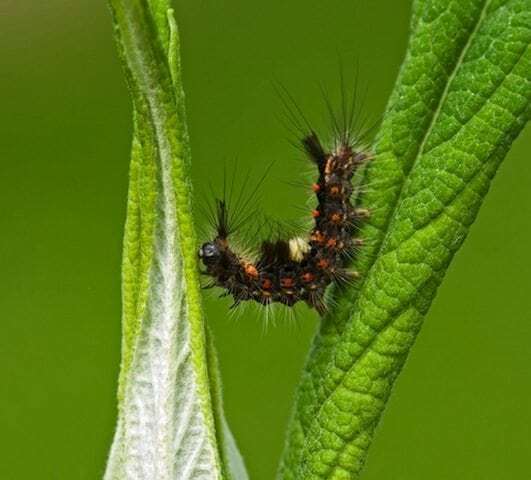 The larvae live mainly in oak stumps, but also in rotten beech or chestnut wood. The metamorphosis takes place only after four or five years. The adult insects crawl out of their hiding place on the first warm days of June. Stag beetles live a short but intense life. The males fight to determine who wins the female for himself. The winner takes her between his jaws and then it is time to mate. The female digs a corridor and after two weeks, lays some fifteen eggs there. In the Sonian Forest, the stag beetle has no longer been observed for a number of decades. In a residential area in Boitsfort, a few hundred metres from the forest, a colony has still been able to maintain itself. With appropriate stewardship, the managers hope to again be able to welcome this protected species to the Sonian Forest. 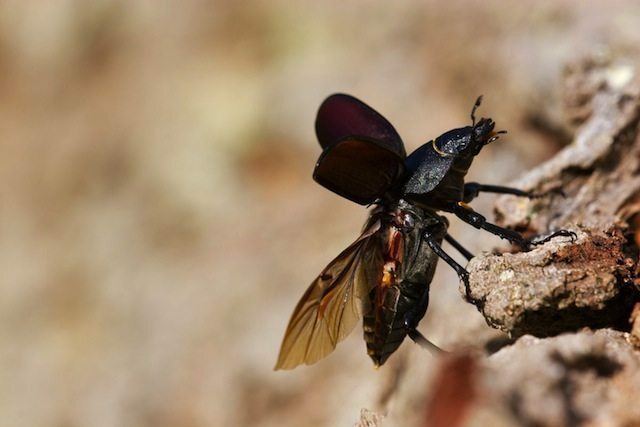 This beetle is brown-black in colour with a purplish sheen and can be between 2.5 and 4.5 centimetres in size. It has rough wing cases. These were originally wings that hardened in order to protect the insect. 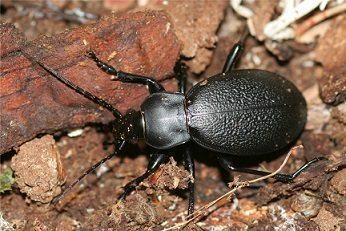 Because of that, the ground beetle can no longer fly, but it has evolved into a great runner. The broad-bodied chaser is a commonly found true dragonfly. It is a pioneer species that is usually found in newly landscaped pools and ponds. The male defends his territory from a lookout post. He uses twigs or reeds for that. Rivals of his own species are chased away, but other dragonfly species are also forced to surrender. 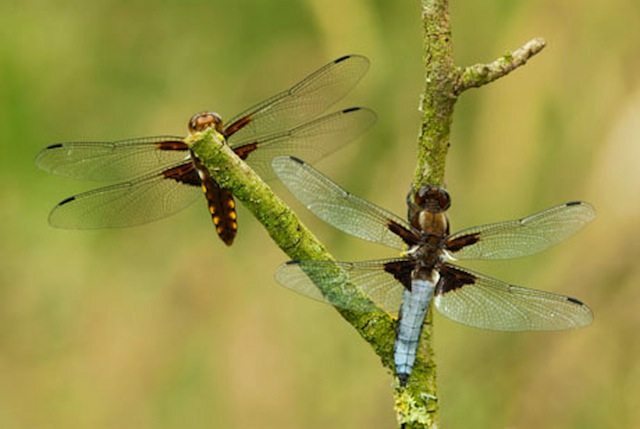 How do you recognise the broad-bodied chaser? Males have a frosty blue abdomen. Females are often brownish with a lighter to yellow colour along the sides of the abdomen. Butterflies are among the insects that undergo a complete metamorphosis. The vapourer moth is a diurnal moth of the family of yellow-tail moths. Noteworthy in this species are its colourful caterpillars. These are more brightly coloured at a young age than when they are fully grown. Oddly enough, it would appear that brighter coloured young caterpillars are more difficult for birds to detect, while this effect decreases as the caterpillars mature. The imagos, that is to say the adult butterflies, no longer feed and thus only live for a fairly short while, even in the SonianForest. One of the most numerous, most often sighted moth species in spring is undoubtedly the green longhorn moth. It is a small diurnal moth with metallic wings that shine like a jewel in the sunlight. These moths feel best in forests, between April and May. You will often encounter them in the SonianForest too. 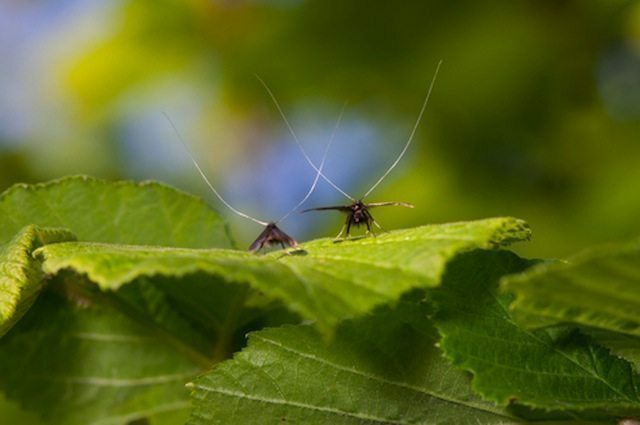 The males can be easily recognised by their very long antennae that are coloured white and by the rough black hair on their heads. The females, on the other hand, have somewhat shorter antennae, with shorter, lighter coloured hair. The caterpillar lives on the ground in a kind of pouch, made of plant debris, from which it also feeds.